Here you'll find an overview of the top 5 Usenet clients available for Mac. Letting you make an informed decision before downloading something to your computer. 1. SnelNL - Best Tested! With this user-friendly application, downloading from Usenet becomes much easier. You no longer have any difficult and time-consuming steps. This application is the next generation of the binary Usenet downloaders. SnelNL has an integrated media player so you can see what you're downloading. 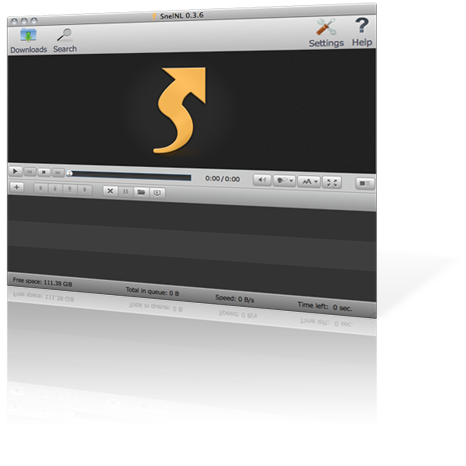 Whether it's a high quality video file, disk image, audio or images, this application gives you the ability to start watching or listening instantly. Click here to visit the website. Unison is a newsreader for the Apple Mac OS X-platform. The application destincs itself by it's simple interface and smooth interaction. The application is merely a downloadapplication and doesn't have any other functions in regard to automatic repears and such. Binreader is fairly new and basic newsreader to download newsgroups. Binreader is free, easy to use, fixes downloaded files automatically and unpackes them. The downsides to Binreader are that it consists only of basic functions and the updater doesn't always work properly. With NZB Drop there is no more climbing through mountains of headers. You bypass usenet clutter and get directly to the content you want. No more monkeying around with long lists of rar segments or split files, view and manage related files as single collections. NZB Drop has full support for automatic par2 check and repair, unrar, unzip, and split-file assembly. Search for files with binsearch.info or any other usenet search engine.